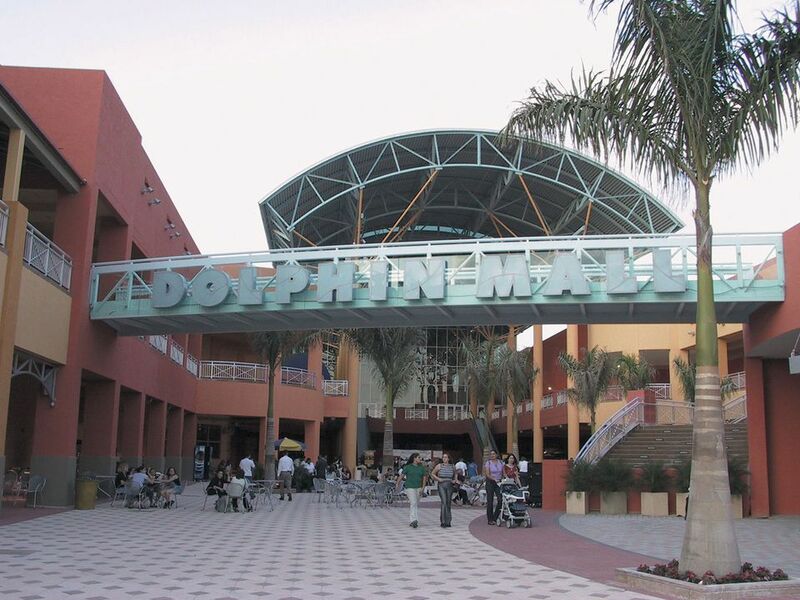 Dolphin Mall is one of the most exciting places to shop in the Greater Miami area. Its fresh racetrack layout and zoned approach to shopping make each visit a unique, entertaining experience. Let’s take a look at some of the Mall’s finer features together. Dolphin Mall houses over 240 retail establishments. Flagship anchor stores include Sports Authority, Bass Pro Shops, Old Navy, Ross Dress for Less, Linens ‘N Things, and Marshall’s. Dolphin Mall boasts an 850-seat food court featuring pizza, pasta, burgers and the usual mall fare, but it also includes a unique Miami twist. You’ll find empanadas, Cuban specialties and other Latin treats right next to American favorites. The mall also houses a KOBE Japanese Steak & Seafood, Charcoal's Latin Grill, TGI Friday’s, Mojito's and Starbucks. Dolphin Mall is located just west of Miami International Airport. From the West and Northwest: Take Florida’s Turnpike Homestead Extension to exit 27 and head east. You’ll run right into the mall. From the Northeast, Southeast and Downtown: Take I-95 to 836 West. Travel west on 836 until you hit Florida’s Turnpike. Take the Turnpike north to exit 27 and travel east on Dolphin Mall Blvd until you see the mall on your left. From the Southwest: Take Florida’s Turnpike North to exit 27 and head east. You’ll run right into the mall. From the Beach: Take 395 West to 836 West. Travel west on 836 until you hit Florida's Turnpike. Take the Turnpike north to exit 27 and travel east on Dolphin Mall Blvd until you see the mall on your left.